Is this the much anticipated market correction? Is the sky falling? Have you heard of the popular children’s story “Chicken Little”? 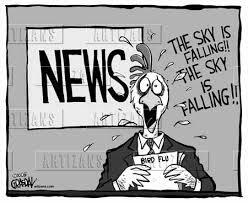 The story begins with an acorn falling on a chicken’s head prompting him to run around declaring that the world is coming to an end, repeatedly stating, “the sky is falling!” The media has been acting much the same the last few weeks, prompted by the sell off in the equity markets. We’ve discussed the ‘herd mentality’ before, markets like this cause even the most experienced investors to act irrationally and make decisions based on emotions – don’t allow yourself to do the same. 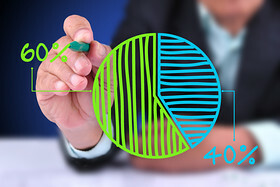 Recently the stock market has been a bumpy ride, it is now entering correction levels. Over the last month the S&P 500 has dropped over -4% and international markets are down as much as -10% or more. These numbers are alarming but let’s take a moment to keep things in perspective. The S&P 500 is now slightly negative for the year. Last summer (2014) the market was down as much as -7% at one point, did the sky fall then? No, it closed the year up +13%. Below is a chart from JP Morgan Asset Management, it illustrates the fluctuations that the markets exhibit on a yearly basis showing the low points and where it finished each year. 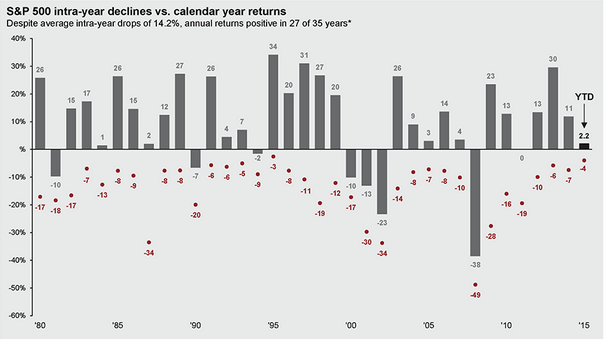 Going back to 1980 the S&P 500 has returned positive results 27 out of 35 years. Here is an even more eye-opening stat – every year since 1980 the S&P 500 has dipped into negative territory! The average intra-year low point for the S&P 500 going back to 1980 is -14% yet the markets finished with average year-end return of 11% over the same time frame. That is not a typo – take a moment to look at the chart below to help put this in perspective!